The New York Times reports that three cardboard valises with over 3 000 negatives by Robert Capa has been found in Mexico City. Capa himself thought that these negatives were lost forever. They are reported to be in good condition. An amazing story. Jens Olof Lasthein has spent six years travelling and photographing along the eastern border of the European Union - from the White Sea in the north to the Black Sea in the south. 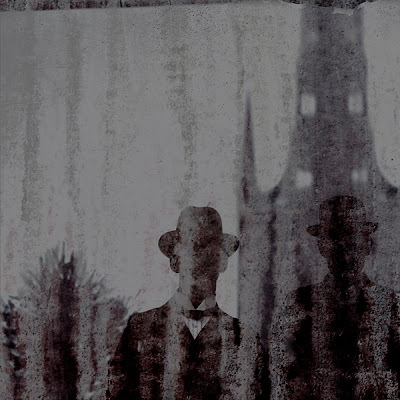 The photographs to be exhibited are from Transylvania, Russia, Moldavia and Belarus. This visual journey along the border of two worlds will open on 15 March 2008, Kulturhuset, Stockholm. Be there. 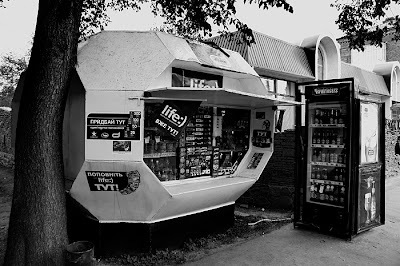 "The photo is taken in Uman, Ukraine.To me this kiosk is not only an intriguing example of soviet architecture, but also a great symbol of the pragmatic mentality of the Ukrainians. Soviet-style buildings like these are still in use. Not out of respect for their historical and cultural values, but because they are there and they still work."